If you or a loved one in North Dakota was harmed in a Chevrolet, Pontiac, or Saturn that has since been subject to the GM ignition recall you may be entitled to damages. 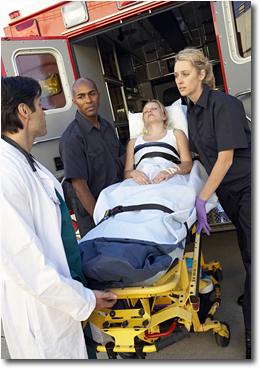 Our attorneys provide free no-obligation North Dakota GM injury lawsuit case review. We do not charge attorney fees unless you receive compensation and you are under no obligation after your initial consultation. GM ignition injuries occur when a General Motors vehicle such as a Pontiac, Saturn or Chevrolet loses power due to a defect in the ignition system. Losing power means the driver loses use of the brakes and steering, making a collision likely. The loss of power also means that the vehicle’s airbags will not deploy in the event of a crash. Drivers and passengers in the front seat rely on air bags to mitigate the effects of a violent collision. Without airbags, North Dakota passengers can sustain serious GM ignition injuries that can result in lifelong disability or death. Persons and the family members of persons in North Dakota who suffered GM ignition injuries in a vehicle that was later subject to recall for an ignition system defect may have legal grounds to file a North Dakota General Motors ignition injury lawsuit. This page provides comprehensive information about GM ignition injuries, including the types of injuries that may qualify, a list of the recalled GM vehicles, and information about filing a GM ignition injury lawsuit in North Dakota. Filing a North Dakota GM injury lawsuit is the most effective method individuals have to address the injustice done to persons who were harmed in a recalled GM vehicle due to ignition defects. Unfortunately, one of the only ways corporations take action to protect consumers is when they are threatened with litigation. Innocent drivers and passengers, unaware of the defect in their vehicle’s ignition system, have suffered serious injuries and been killed when their vehicle lost power and the airbags failed to deploy. General Motors was aware of the ignition system defect ten or more years prior to issuing a recall, meaning drivers and riders in 6 million vehicles were exposed to unnecessary risks for years on end. The company acknowledges 13 deaths that have resulted from GM ignition injuries; the Center for Auto Safety pins the number of GM ignition deaths over 300. No one knows exactly how many people have sustained GM ignition injuries or have been killed as a result of an accident from the ignition defect. The recall finally brought public awareness to the defect. General Motors was aware of the ignition system defect ten or more years prior to issuing a recall, meaning drivers and riders in 6 million vehicles were exposed to unnecessary risks for years on end. The defect that causes GM ignition injuries is that of low torque in the ignition cylinder, meaning affected vehicles can accidentally switch from the “Run” position to the “Off” position while in motion on a roadway. A simple brush or touch of the steering column, the swinging of the key chain from the car’s motion, or a bump in the road is enough to cause this problem. When a car loses power, the braking and steering systems are compromised, making a collision likely. If a collision does occur, the vehicle’s airbags will not deploy due to the loss of power. Without airbags, GM ignition injuries can be severe and even deadly. Without airbags, GM ignition injuries can be severe and even deadly. Whether a head-on, roll-over, or other type of collision, accidents stemming from the GM ignition defect can have very serious repercussions. Head and brain injuries, paralysis, organ damage and internal bleeding, and broken or crushed bones are all examples of GM ignition injuries. Lifelong disability, severe pain and suffering, and death are the long term impacts of these GM ignition injuries. Innocent people in North Dakota have lost their lives or been severely injured as a result of GM’s cover-up of the ignition defect for ten or more years, all to protect the profits of General Motors. An article in USA Today from March 12, 2014 noted that solutions for the ignition problem were considered in 2005 but never acted upon due to expense: “A tracking inquiry and solutions were considered, but the inquiry was closed, the company said, ‘after consideration of the lead time required, cost and effectiveness of each of these solutions’." In the decade that followed, many people lost their lives or were harmed or disabled by preventable General Motors ignition injuries. Our attorneys handling GM ignition injury lawsuits in North Dakota provide expert legal representation for persons or family members of persons who were sustained a GM ignition injury while driving a vehicle that was later subject to the recall. They will work tirelessly on your behalf to assure you get the compensation you deserve. If you or a family member was harmed by a recalled vehicle, a North Dakota GM injury attorney can help by answering your questions and giving you a sense of your legal options. Persons in North Dakota who were harmed in a vehicle that lost power as a result of the defective condition may have legal grounds to file a North Dakota GM ignition injury lawsuit for damages. We provide legal representation for North Dakota GM ignition injury lawsuits on a contingency basis, meaning there are never any legal fees unless we win compensation on your behalf. Filing a North Dakota GM ignition injury lawsuit not only provides compensation for the loss and suffering of a family, but may serve to motivate General Motors to strive for increased safety and accountability in the future.